Several novelties concerning the advances in the field of hepatitis C were reported at the AASLD 2015 meeting. I will focus my report on the real-world data on treatment with direct acting antivirals (DAA), those obtained in some selected populations (genotype 3, acute hepatitis C, persons who inject drugs [PWID], decompensated cirrhosis), the problem of NS5A-associated resistance associated variants (RAVs), and some of the results of soon-to-be-approved medications. The real-world experience with sofosbuvir (SOF) + ledipasvir (LDV) in patients with genotype 1, treatment-naïve, non-cirrhotic with HCV RNA < 6,000,00 IU/mL at baseline showed SVR rates that were comparable to those of the registration trials. SVR rates after 8 weeks of therapy were 93%, 97% and 95%, respectively, in the Veterans Administration cohort1, the HCV TARGET cohort2 and the TRIO Network33. SVR rates after 12 weeks of therapy were, respectively, 96%, 97% and 96%. Interestingly, as many as 42%, 60% and 50% of all patients eligible for a 8-week regimen were instead treated for 12 weeks, showing how the short duration regimen is largely underutilized. The TRIO Network identified also some factors associated with the failure to attain SVR, besides cirrhosis: the fact being treated at academic institutions (probably more severe cases), a platelet count <100 G/L, and some specific DAA regimens, especially if not combined with ribavirin4. In the HCV-TARGET Cohort, predictors on lower SVR were having a cirrhosis, decompensation, HCV-1a infection, history of liver transplantation, and the fact of receiving any PPI during therapy. In conclusion, in genotype 1 infected patients, cirrhosis and in general a more advanced liver disease reduce the SVR following SOF + LDV treatment, as does the use of PPI, something however that is easily modifiable. For genotype 3 treatment, the new difficult-to-treat genotype, the data from the ALLY-3+ study were reported, where SOF, combined with daclatasvir (DCV) and ribavirin for a 12 or 16 weeks course, was given to 50 patients with F3 or F4 (74% treatment experienced). SVR rates were 100% in the 14 patients with F3, independently of duration, 83% and 89% in naïve cirrhotics treated for 12 or 16 weeks, and 88% and 86%, respectively, in those with prior therapy failure5. Failure included 4 relapses (all associated with NS5A Y93H) and one death. Thus, adding ribavirin increased the SVR, compared to the recently published ALLY-3 study results. The European Compassionate Access Program suggests however that adding ribavirin may increase SVR only in patients with a Child-Pugh B or C, or with a MELD score higher than 106. In conclusion, the results of SOF + DCV therapy of HCV genotype 3 show that cirrhotics reach on average SVR rates of 85-90%, slightly lower (~80%) in case of decompensation. If patients tolerate ribavirin, this can be added to a 12-week regimen, otherwise a 24-week duration is preferred. However, the preferred option for decompensated cirrhosis is the triple combination for 24 weeks. Patients with acute hepatitis C were the object of an interesting study. The SLAM-C trial enrolled 29 acute hepatitis C patients from 6 drug rehabilitation centers in New York. Patients were treated for 4 weeks with SOF + LDV or for 8 weeks with SOF + simeprevir (SMV). The SVR rate at 12 weeks after the end of therapy was 13/14 (93%) and 13/15 (87%), respectively, with all treatment failures being due to lost to follow up, rather than to relapse or viral breakthrough7. Another trial dealt with PWID on opioid agonist therapy and genotypes 1, 4 or 6 infections, treated with elbasvir (EBR) + grazoprevir (GZR) for 12 weeks. Of these, 21% had cirrhosis and 58% had urine drug screen positive for at least one illicit substance8. With the exception of genotype 6, patients with the other genotypes reached high SVR rates, ranging from 91.7% (genotype 4) to 93.4% (genotype 1). There were only 5 reinfections among the 201 enrolled patients. Adherence also was very good, with 96.5% of patients missing ≤3 doses of medications during the 12 weeks of therapy. These data strongly argue in favor of HCV treatment of PWID who receive opiate agonist therapy. In decompensated cirrhosis, results are also getting better. Patients with cirrhosis and genotypes 1 or 4 were treated with a triple combination of SOF + DCV + SMV, but without ribavirin for 12 weeks (IMPACT study)9. The SVR was 100% in both Child A (n=19) and Child B (n=21) groups, and the treatment was also safe, despite an increased exposure to SMV in patients with Child-Pugh B. Similarly, in the ASTRAL-4 study, patients with any viral genotype and Child B cirrhosis were randomized to receive SOF and velpatasvir (VEL) plus or minus ribavirin for 12 weeks, or SOF + VEL for 24 weeks. As many as 47% of patients saw their Child-Pugh score improving, and SVR rates were consistently higher than 80%, with the exception of rather disappointing results in patients with genotype 310. The impact of baseline RAVs in the NS5A region was analysed in a huge post hoc analysis of several SOF + LDV trials11. Among patients without cirrhosis, RAVs impacted SVR only among those who were treatment-experienced treated with SOF + LDV for 12 weeks (SVR of 90% vs 99%). Among cirrhotic patients, the largest impact of RAVs on treatment outcome was seen in patients with cirrhosis treated for 24 weeks with SOF + LDV but without ribavirin (87% vs 100%). Thus, although baseline testing is not recommended by international guidelines, a role for select testing may be proposed. For cirrhotic patients, for example, one may consider adding ribavirin or prolonging therapy, but the preferred strategy should be a triple combination including SOF plus two additional DAA targeting two distinct viral activities. Among the soon-to-be-approved drugs, the combination SOF + VEL seems the most promising. The ASTRAL-1 study included patients with genotypes 1, 2, 4, 5 and 6 and the 12-week regimen resulted in a SVR ranging from 97% (34/35 patients with genotype 5, the only failure being due to patient’s death) to 100% (genotypes 2, 4 and 6). The only 2 relapses occurred among the 328 patients with genotype 112. For genotype 2, a 12-week course of SOF + VEL was superior to the current standard therapy with SOF + ribavirin (ASTRAL-2 study)13. Here, the only failure among the 134 patients receiving SOF + VEL was due to a loss to follow-up, while 6/132 patients treated with SOF + ribavirin relapsed. In the ASTRAL-3 study, a 12-week regimen of SOF + VEL was superior (95% SVR) to the 24-week treatment with SOF + ribavirin (80% SVR)14. Here, cirrhosis was a predictor of relapse. Thus, SOF + VEL for 12 weeks is superior to current SOF-based therapies for genotypes 2 and 3, and response is not affected by baseline RAVs. The regimen was also well tolerated, with a safety profile similar to that observed in placebo receiving patients. In conclusion, the AASLD DAA trial results show that SVR rates are high also in large real-life cohorts, which are also helpful to identify the factors associated with treatment failure. A very stimulating pipeline exists, with regimens to be approved soon that are pangenotypic, very simple to administer, efficacious and safe. Retreatment of patients, who failed an interferon-free, DAA-based regimen, is challenging, because of the post-failure persistence of resistance-associated variants, especially in patients exposed to NS5A inhibitors. The EASL Recommendations are based on indirect evidence and subject to change when more data become available. The utility of HCV resistance testing prior to retreatment is unknown. The retreatment regimen should contain sofosbuvir (because of the high barrier to resistance), plus one or two other DAAs (if possible with no cross-resistance with the DAA already administered), plus ribavirin, for 12 to 24 weeks (24 weeks is recommended in F3-F4 patients). The EASL Recommendations for Treatment of Hepatitis C 2015 have a major impact on real-life treatment strategies, because they are evidence-based and unrelated to local availability and/or reimbursement strategies. The EASL Recommendations have been used to inspire national guidelines and drive discussions between local stakeholders and their governments, in order to provide better access to care and orientate reimbursement decisions. They will serve as a backbone for hepatitis C therapy worldwide until they are updated when new drugs are approved and more data becomes available, probably in early 2016. Backus L, et al. Effectiveness of ledipasvir/sofosbuvir in treatment-naïve genotype 1 patients treated in routine medical practice. AASLD Liver Meeting. San Francisco, November 13-17, 2015, abstract#93. Curry MP, et al. Effectiveness of 12 or 24 week LDV-SOF and 12 week LDV-SOF + RVB in treatment-experienced patients with cirrhotic, genotype 1 hepatitis C: real-world experience from the TRIO Network. AASLD Liver Meeting. San Francisco, November 13-17, 2015, abstract #1108. Afdhal N, et al, Failure with all-oral DAA regimens: real-world experience from the TRIO Network. AASLD Liver Meeting. San Francisco, November 13-17, 2015, abstract #LB-17. Leroy V, et al, All-oral treatment with daclatasvir (DCV) plus sofosbuvir (SOF) plus ribavirin (RBV) for 12 or 16 weeks in HCV genotype (GT) 3-infected patients with advanced fibrosis or cirrhosis: the ALLY-3+ phase 3 study. AASLD Liver Meeting. San Francisco, November 13-17, 2015, abstract #LB-3. Welzel T, et al. Safety and efficacy of daclatasvir plus sofosbuvir with or without ribavirin for the treatment of chronic HCV genotype 3 infection: interim results of a multicenter European Compassionate Use Program. AASLD Liver Meeting. San Francisco, November 13-17, 2015,abstract #37. Basu P, et al. Sofosbuvir and ledipasvir versus sofosbuvir and simeprevir combination therapy in the management of acute hepatitis C: a randomized open label prospective clinical pilot study. SLAM C study. Interim data. AASLD Liver Meeting. San Francisco, November 13-17, 2015, abstract #1074. Dore G, et al. C-EDGE CO-STAR: efficacy of grazoprevir and elbasvir in persons who inject drugs (PWID) receiving opioid agonist therapy. AASLD Liver Meeting. San Francisco, November 13-17, 2015, abstract #40. Lawitz E, et al. SVR12 results from the Phase II, open-label IMPACT study of simeprevir (SMV) in combination with daclatasvir (DCV) and sofosbuvir (SOF) in treatment-naïve and -experienced patients with chronic HCV genotype 1/4 infection and decompensated liver disease. AASLD Liver Meeting. San Francisco, November 13-17, 2015, abstract #39. Charlton M, et al. Sofosbuvir/velpatasvir fixed dose combination for the treatment of HCV in patients with decompensated liver disease: the phase 3 ASTRAL-4 study. AASLD Liver Meeting. San Francisco, November 13-17, 2015, abstract #LB-13. Zeuzem S, et al. Prevalence of pre-treatment NS5A resistance associated variants in genotype 1 patients across different regions using deep sequencing and effect on treatment outcome with LDV/SOF. AASLD Liver Meeting. San Francisco, November 13-17, 2015, abstract #91. Feld J, et al. A phase 3 double-blind placebo-controlled evaluation of sofosbuvir/velpatasvir fixed dose combination for 12 weeks in naïve and experienced genotype 1, 2, 4, 5, 6 HCV infected patients with and without cirrhosis: rResults of the ASTRAL-1 study. AASLD Liver Meeting. San Francisco, November 13-17, 2015, abstract #LB-2. Sulkowski M, et al. A randomized controlled trial of sofosbuvir/GS-5816 fixed dose combination for 12 weeks compared to sofosbuvir with ribavirin for 12 weeks in genotype 2 HCV infected patients: the phase 3 ASTRAL-2 Study.AASLD Liver Meeting. San Francisco, November 13-17, 2015, abstract #205. Mangia A, et al. Sofosbuvir/GS-5816 fixed dose combination for 12 weeks compared to sofosbuvir with ribavirin for 24 weeks in genotype 3 HCV infected patients: the randomized controlled phase 3 ASTRAL-3 study. AASLD Liver Meeting. San Francisco, November 13-17, 2015, abstract #249. The 2015 Liver Meeting in San Francisco offered an occasion for experts from around the world to meet and discuss the latest findings in hepatology. The Global Forum was an event dedicated to the advances in treatment of chronic hepatitis C and the challenges that remain to fight the battle against HCV worldwide. Experts representing the leading liver scientific societies of North America, Europe, Asian-Pacific region, Africa, Latin America and Stefan Wiktor, from the World Health Organization, gathered together in a highly interactive session to explain the differences in terms of epidemiology and access to treatment in the various regions. They also discussed measures aimed at reaching the World Health Organization’s goal: containment of HCV by 2030. Several peculiarities emerged in terms of epidemiology of HCV that circulated in different time periods, thus determining differences in disease burden. Dr Yokosuka and I presented APASL’s and EASL’s perspective by focusing on Japan and Southern Europe where most infections were the consequence of iatrogenic spread in the 1950’s-1970’s. These countries have already peaked in terms of complications of the disease and are currently witnessing a natural decrease in prevalence of HCV due to aging and death (liver and non-liver relayed) of the original cohort of patients. On the other hand, as Dr. Davis from AASLD highlighted, areas like the US are characterized by most infections being found in persons who injected drugs in the 1970s and1980s, a pattern also seen in Northern and Eastern Europe. These countries are still peaking in terms of complications and are expected to start seeing a decline in complication rates and prevalence only in 10-15 years in the absence of significant therapeutic measures. The case of Egypt, presented by Dr. Yosry of AFASLD, has a peculiar situation where up to 18 million people are estimated to be chronically infected with HCV due to the spread of the virus during vaccination campaigns for schistosomiasis. Egypt has decided to tackle this pandemia through the introduction of a national plan against viral hepatitis that is based on increased detection rates and access to interferon-free treatments through aggressive negotiation of the price of directly acting antivirals. In the last year, more than 120.000 patients have received treatment in Egypt, a number that will increase even further due to universal reimbursement of treatment for local patients that has been negotiated recently by the government. Unfortunately, most other regions do not have such widespread access to therapy. In Europe access to therapy is extremely heterogeneous with Western Europe generally having good access, but with large areas of Eastern Europe where a large number of HCV patients are to be found still lingering behind in treatment rates and access to IFN-free regimens. Latin and South America are even more heterogeneous as highlighted by Dr. Contreras of ALEH, as few countries (Brazil and Dominican Republic) have access to IFN-free regimens. Other countries in this region are still quite behind in their quest for good access to therapy, mainly due to a lack of national plans and weak local epidemiological data. Stefan Wiktor, from the World Health Organization, highlighted the need for scaling up treatment aimed at elimination of HCV by 2030, and brilliantly showed once again that indeed it is a small world as the challenges we are facing are similar all over the globe. He emphasized how the need for national and regional plans to tackle hepatitis C are vital to reach concrete results in the fight against this disease. The discussion, chaired by Dr. Terrault and Dr. Fried from AASLD, allowed the audience to chime in, add their local expertise to the forum and highlight other areas of need for future efforts. Particularly surprising was the situation in Puerto Rico that currently cannot guarantee access to therapy to most of its patients due to internal US regulations. There was general consensus that these initiatives should be repeated at other meetings as they convene stakeholders, scientific societies and physicians that ultimately share the same aim: elimination of HCV worldwide. Alessio M. Aghemo, M.D. PhD. Q. Professor Zucman-Rossi, is our understanding of the risk factors of hepatocellular carcinoma exhaustive? The vast majority of hepatocellular carcinomas (HCC) occur on a cirrhotic background developed after a chronic liver disease usually related to infections by hepatitis B or C viruses, high alcohol consumption, metabolic genetic diseases or obesity. Apart from these major risk factors, the contribution of others such as tobacco remains to be ascertained. Whereas HCC risk increases with the severity and duration of cirrhosis development, an increased number of HCC are discovered in non-cirrhotic patients. Particularly in these cases, we can hypothesize that exposure to additional risk factors and/or genetic predisposition could contribute significantly to the development of HCC. Q. How important is the role of genomic alterations in the origin of HCC? HCC, as other solid tumors, is a disease of the genome. Their development results from the accumulation of genetic and epigenetic alterations in hepatocytes. These mutations are accumulated randomly during life from birth and they can be increased in cirrhotic liver by oxidative stress and replicative senescence. Hepatocytes are also major targets for genotoxic agents because of the detoxification function of the liver. Consequently, exposure to genotoxic agents damages the genome of hepatocytes and increases the number of somatic mutations. In most cases, mutations occur in intergenic regions and have functional consequences on the cell. However, when mutations occur within a cancer driver gene it can initiate or promote the mechanism of tumorigenesis. Exposure to Aflatoxin B1 (AFB1) in subtropical countries is a prototype of such a mechanism. AFB1 metabolites are genotoxic, they form an adduct to DNA and induce G to T transversions with a recurrent specific mutation identified in TP53 gene at codon 249. AFB1 cooperate with HBV infection and GSTM1 polymorphism to increase the risk of HCC development. Q. 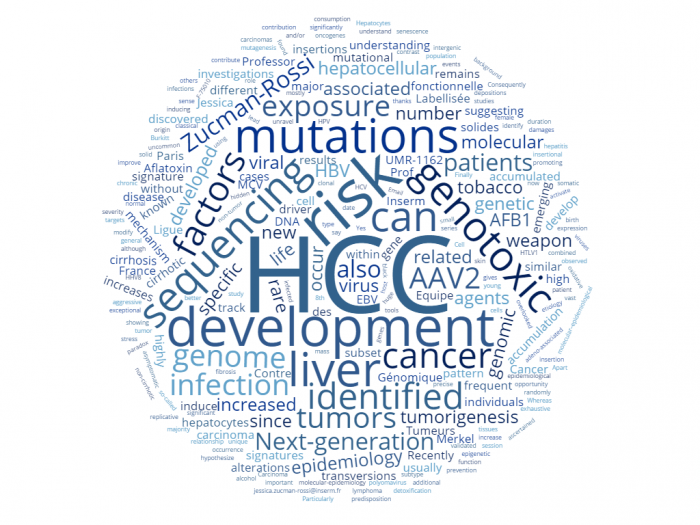 Can subjects at risk of HCC be identified by genomic investigations? Recently, the development of Next-generation sequencing is a technical revolution that has considerably increased our understanding of the mechanisms of tumorigenesis. By sequencing the entire coding sequences of the genome (also termed whole exome sequencing) in HCC tumors, subsequent analysis of the pattern of mutations that are accumulated in the genome provides new insights. It is a picture at the end of tumorigenesis that results from the accumulation of different mutational processes that can be decrypted by sophisticated bioinformatics analyses. In HCC, we have identified 8 different nucleotide signatures, some of them are related to age reflecting that mutations accumulate during life. Other signatures can be clearly linked to specific exposures. Aflatoxin B1 exposure is associated with a typical pattern of mutations highly enriched in G to T transversions. Interestingly, in a subset of HCC, we also identified a signature usually related to tobacco in lung cancer suggesting that tobacco or similar genotoxic could induce a specific mutational signature in the liver. This relationship remains to be validated in a combined molecular–epidemiological study. 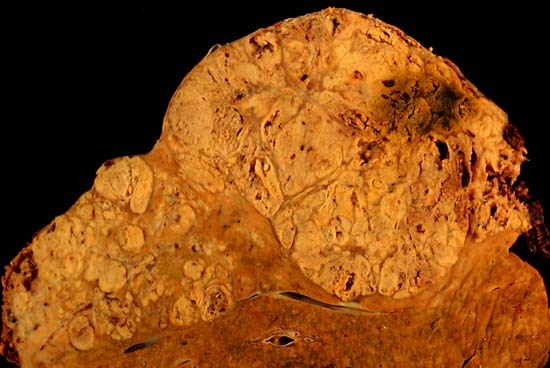 Finally, in a unique tumor, a very high number of mutations was identified suggesting the occurrence to a genotoxic exposure in this female patient without cirrhosis and known etiology but showing black depositions in the non-tumor liver tissues. Q. Did genomic investigations unravel HCC risk factors overlooked by classical epidemiological studies? Recently, by sequencing a series of HCC, we discovered clonal insertions of the adeno-associated virus type 2 (AAV2) in 11 tumors mostly developed in young patients without significant liver fibrosis and known risk factors. These viral insertions were identified within cancer driver genes and lead to activate their expression using a so-called “insertional viral mutagenesis” similar to that observed with HBV in HCC. In a sense, these DNA virus are “genotoxic” since they can modify the genome of the host cells. These events of AAV2 insertion in oncogenes promoting HCC development are exceptional since HCC developed in normal liver are very rare. In contrast, AAV2 asymptomatic infection is highly frequent in the general population since 60% of individuals are infected by AAV2 during life. This paradox between a frequent viral infection and the development of a rare subtype of cancer is also found with EBV infection inducing Burkitt lymphoma or in Merkel Cell Carcinoma, a rare aggressive skin cancer associated with Merkel cell polyomavirus (MCV) infection. To date AAV2 is the 8th virus associated with cancer development after HBV, HCV, HPV, MCV, EBV, HTLV1 and HHV8. We have now to better understand why only a small subset of individuals go on to develop tumors. Q. Professor Zucman-Rossi, can we say that molecular epidemiology is a new weapon against HCC? Yes, thanks to the development of Next-generation sequencing, we have the tools to develop a more precise molecular-epidemiology. It gives us the opportunity to identify new risk factors for liver tumors, although they are uncommon and hidden in the huge mass of exposure to genotoxic agents. A Q&A on metabolic steatohepatitis and liver cancer with Prof Jean-Francois Dufour, University Clinic Visceral Surgery and Medicine, Bern, Switzerland. Q. Professor Dufour, when was the link between liver cancer and metabolic syndrome established? In the last decades, research in the field of hepatocellular carcinoma has been focused on the link with hepatitis B virus and hepatitis C virus and, on the therapeutic front, on the development of systemic target therapy which lead to the approval of sorafenib in 2007. The landscape is changing with the realization that effective treatment of chronic viral hepatitis will reduce the number of patients at risk of developing hepatocellular carcinoma. Q. What metabolic diseases are mostly responsible for HCC? Obesity is augmenting the risk for many cancers with a relative risk between 1.5 and 2. The only cancer with a relative risk over 4 is hepatocellular carcinoma. A statistical tour de force realized by Danish investigators demonstrated that teenagers with an increased BMI carry a higher risk to develop hepatocellular carcinoma in adulthood, emphasizing the long-term effect of excessive weight on hepatocarcinogenesis. Numerous reports document an association between diabetes and hepatocellular carcinoma. The standardized incident ratio has been reported to be between 3 in females and 4.5 in males. A large long-term study from the veteran administration with nearly 200,000 individuals found over the years a significant higher incidence of hepatocellular carcinoma in case of diabetes. Interestingly, obesity and diabetes act synergistically on the development of hepatocellular carcinoma with much higher relative risk when both factors are present. Q. Has any specific hepatic lesion favoring HCC been identified? Obesity and diabetes are strongly associated with non-alcoholic steatohepatitis, the progressive form of non-alcoholic fatty liver disease resulting in cirrhosis in about 20% of the cases. When cirrhosis occurs, typically the histological features which are diagnostic of NASH tend to disappear and so many patients with cryptogenic cirrhosis suffer from ‘burned-out’ NASH. This is a situation where hepatocellular carcinoma occurs although with a frequency which seems slightly lower than in patients with hepatitis C-induced cirrhosis. However it was recognized about six years ago that hepatocellular carcinoma in patients with NASH frequently occurs in patients without cirrhosis. One of the first observations came from France where Paradis et al. found only 35% of patients with metabolic syndrome and hepatocellular carcinoma to have advanced fibrosis or cirrhosis when this proportion reaches 74% in case of chronic liver disease. This observation has been confirmed subsequently in many studies. For example, in Japan the prevalence of cirrhosis in men with hepatocellular carcinoma in the context of NASH seems as low as 40%. This characteristic has important consequences on the management of these patients. Q. Is early diagnosis of NASH-related HCC frequent? If not, what barriers have to be overcome? The American and the European guidelines on hepatocellular carcinoma recommend screening patients for new focal lesions with ultrasound every 6 months only once they have cirrhosis. It is then not surprising that a minority of patients with hepatocellular carcinoma in the context of NASH were regularly screened before the diagnosis whereas this proportion is 80% in case of chronic viral hepatitis. One needs tools to identify the patients not yet cirrhotic at risk to develop a hepatocellular carcinoma and who can benefit from regular screening and also identify the patients who have such a small risk to develop hepatocellular carcinoma that they do not need to be enrolled in a surveillance program. One can foresee that part of the tools will be the use of genetic tests like the PNPLA3 polymorphism, which confers an increased risk to develop hepatocellular carcinoma in patients with NASH. Q. How effective is treatment of HCC in NASH patients? Once diagnosed with hepatocellular carcinoma the management of the patients with NASH as an underlying disease leads to consider more frequently surgery and resections since these patients are often non-cirrhotic. However, here we have to take into account the co-morbidities of these patients who are at higher risk of cardiovascular complications and moreover may suffer from impaired liver regeneration due to steatosis. In addition, the recurrence rate after resection might be higher in patients with metabolic syndrome in comparison to patients with chronic hepatitis C.
Q. Is primary prevention of NASH-related HCC possible? All in all, it appears wise to consider preventive measures to reduce the risk of developing a hepatocellular carcinoma in patients with NASH. We reported using a genetic model that mice develop less hepatocellular carcinoma when they exercise regularly. The mechanism seems to be an activation of the AMPK pathway. Interestingly, the AMPK pathway is also the target of metformin. Several reports suggest that metformin decreases the risk to develop a hepatocellular carcinoma in patients with cirrhosis. The strong association between obesity, diabetes NASH and hepatocellular carcinoma will drive the field in the next years. Patients with these diagnoses will populate our clinics. More research is needed to identify the patient at risk to develop a hepatocellular carcinoma and to implement preventive programs to reduce their risks. Q. Professor Galle, is liver cancer a hard to treat disease? Hepatocellular cancer (HCC) is a disease with dismal prognosis and worldwide the third leading cause of cancer-related mortality, behind lung and stomach cancers. In the majority of patients, HCC is a deadly complication of liver cirrhosis resulting from underlying liver disease such as viral hepatitis. The remaining hepatic reserve of the cirrhotic patient contributes significantly to the availability of therapeutic options and often dictates outcome. Q. For patients who are diagnosed late when radical therapies cannot be applied is there any other effective therapeutic option available? The approval of the multi-thyrosine-kinase inhibitor (TKI) sorafenib by FDA in 2007 for the treatment of advanced-stage hepatocellular carcinoma defined the first standard of care in systemic therapy of HCC in advanced stage. Previous attempts with chemotherapeutic agents such as doxorubicin proved to be ineffective in clinical trials, mainly due to a high level of primary resistance and toxicity. Approval of sorafenib was based on the results of two Phase III trials, SHARP and Asia–Pacific. The efficacy of sorafenib in HCC is thought to result from the inhibition of VEGF and of the RAS/ RAF/MEK/ERK pathway. However, the precise mechanism of action of sorafenib remains to be determined. Both trials showed an improved overall survival (OS) but very low objective response rates according to response evaluation criteria in solid tumors (RECIST). The modest efficacy of sorafenib may be one of the explanations why real-world data demonstrate a reluctant usage of sorafenib in contrast to what is recommended in guidelines and emphasizes the need for new treatments in HCC. Q. Is there any newer therapeutic regimen around the corner? Nevertheless, sorafenib has changed the field and the availability of a first systemic agent for the treatment of HCC has stimulated a wave of phase III trials – which so far have all failed. Sunitinib, linifanib, brivanib, erlotinib, everolimus and ramucirumab, substances acting as TKIs, anti-angiogenic agents or mTOR inhibitors, have been tested in various first and second-line settings and generated signals of anti-tumor efficacy, e.g. improved time-to-progression (TTP) which, however, did not translate into an improved OS. Several phase III trials are ongoing, including lenvatinib vs. sorafenib, sorafenib vs. sorafenib plus doxorubicin, regorafenib vs. placebo, cabozantinib vs. placebo, ADI-PEG20 vs. placebo, dovitinib vs. sorafenib and others. Q. Why have so many trials failed? Most phase II and III trials in HCC have been for “all comers”, basically because diagnosis of HCC can be done radiologically which results in a lack of biopsies and subsequently a lack of tissue for molecular subtyping. Consequently, one option to improve clinical trial design in HCC is to switch from “all comer trials” to biomarker-based enrichment of molecular subgroups. In an ideal setting therapies targeting oncogene addiction would be applied – however, in HCC the discovery of bona fide oncogenic addiction loops is still lacking and currently the only option is interference with activated signalling cascades, driving important pathways required for tumor cell survival and proliferation. The mutational landscape of HCC has become increasingly defined over recent years allowing the formation of molecular subgroups. Interestingly, it differs from other solid tumors in that genes frequently mutated in other cancers are rarely mutated in HCC and some of the genes frequently mutated in HCC are not yet druggable. Q. Can treatment failure be overcome through patient stratification by molecular markers? First attempts to enrich for subgroups of patients possibly benefitting from systemic therapy more than others are on the way. One example is tivantinib, an oral cMET inhibitor. In a previous phase II trial in second-line end point, tivantinib was most effective in patients with high MET expression, a factor associated with poor prognosis. The median time to progression was extended from 6.1 weeks with placebo to 11.7 weeks in tivantinib-treated patients, turning a negative prognostic marker into a positive predictive marker. Based on these data a phase III randomized, double blind study of tivantinib in second-line in patients with high MET expression in the tumor is currently ongoing. Whereas MET expression appears to be upregulated in about 50% of the patients, another TKI targeting MEK, refametinib is tested in a much smaller subgroup of RAS mutated patients which accounts for about 6% of HCC patients. Here patient inclusion was based on a blood-based test for mutated RAS. The trial demonstrated feasibility of blood test-based patient enrichment but unfortunately did not show anti-tumor efficacy. Based on our molecular understanding of HCC a variety of substances are in early phases of clinical trials, targeting defined subgroups. An example is BLU9931, a highly selective small-molecule inhibitor of FGFR4, demonstrated to have anti-tumor activity in mice bearing HCC tumors that overexpress FGF19, a ligand of FGFR4 and is now being tested in humans. Here, about one quarter of HCC patients will be targeted based on gene mutation or amplification. A completely different scenario is the testing of the anti-angiogenic antibody ramucirumab in the REACH II trial. The underlying phase III trial REACH was a negative trial but gave positive signals for patients with alpha-fetoprotein (AFP), a tumor marker, > 400 U/L. REACH II enriches for these AFP-high patients, although there is presently no clear rationale why patients with high AFP may respond better to ramucirumab than AFP low patients. Q. Are alternative approaches being explored to treat HCC? A lot of excitement has been generated by recent data from immunotherapeutic trials with checkpoint inhibitors. Checkpoint inhibition is a receptor-ligand system and a natural mechanism to control immune responses and to shut off T-cells. Tumors use this system for immune escape by expressing the respective ligands. Checkpoint inhibitors such as tremelimumab or nivolumab block receptor-ligand interaction and thus foster the anti-tumor immune response. At ASCO this year, high disease control rates and objective responses in about 20% of the patients were reported for nivolumab, which were surprisingly durable. Several checkpoint inhibitors are currently being tested in clinical trials. Another interesting approach is the treatment with oncolytic viruses such as JX-594, which, besides preferential oncolysis of tumor cells also elicits immune responses directed against the tumor. Overall, a new armamentarium against HCC is building up. A thorough understanding of the mode of action and the definition of subgroups of HCC patients will help to avoid the failures of the past and filling up the graveyard of failed phase III trials. Q. Dr Petta, how does the hepatitis C virus challenge human health? Hepatitis C virus (HCV) infection is a leading cause of chronic liver disease worldwide, and it has reached a pandemic spread. Though patients with chronic hepatitis C (CHC) are at high risk of liver-related morbidity and mortality, mostly due to the progression toward liver cirrhosis and it complications, they also suffer a number of extrahepatic manifestations, leading to the already accepted picture of HCV infection as a systemic disease. A higher prevalence of immune-related disorders has been found in patients with HCV infection compared to uninfected controls, one above all mixed cryoglobulinemia and its sequelae, ranging from cutaneous and visceral vasculitis to glomerulonephritis and B cell non-Hodgkin’s lymphoma. The ability of HCV to target lymphocytes-the most important step in the pathogenesis of virus-related immunological disorders- can explain also the important role of HCV in the genesis of systemic autoimmune diseases like Sjögren syndrome, rheumatoid arthritis, hemolytic anemia and severe thrombocytopenia. The virus has been implicated also in organ-specific autoimmune diseases like thyroid disorders and autoimmune hepatitis. Q. Does the interplay between HCV and lipid metabolism of liver cells have any clinical implication? While autoimmune disorders can easily be predicted by the interaction of HCV with cells of the immune system, there is also evidence in the literature of an association between HCV infection and metabolic disturbances. Cross-sectional and cohort studies clearly showed that HCV-infected individuals have a higher prevalence of fatty liver infiltration, insulin resistance (IR) and diabetes, as well as a serum lipid profile characterized by lower low-density lipoprotein levels. Notably, this is the consequence of virus interaction with hepatic metabolism of lipids and insulin signaling, whereas HCV eradication by antiviral therapy reverts these disorders, further strengthening their link with HCV. 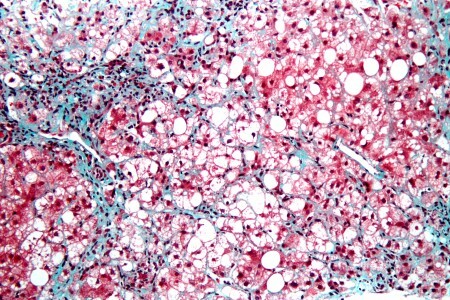 From a clinical standpoint steatosis, insulin resistance (IR) and diabetes, related to both virological and metabolic factors, are in turn well recognized risk factors for hepatic fibrosis progression, as well as for presence of esophageal varices (IR only), and increased risk of hepatocellular carcinoma. Q. Is there any evidence that HCV increases the risk of cardiovascular disorders? While the association between HCV immune-related disorders and metabolic disturbances is well proven, in the last few years evidence has emerged of a link between HCV and cardiovascular alterations, too. Specifically, cross-sectional studies from both Western and Asian populations reported a higher prevalence of carotid atherosclerosis in HCV-infected individuals compared to uninfected controls, this association being maintained after adjustment for cardio-metabolic confounders. The finding of a higher risk of carotid plaques in HCV patients with hepatic steatosis and in those with severe liver fibrosis was interpreted as the virus playing a deteriorating role in patients with metabolic syndrome associated to hepatitis C resulting in more severe hepatitis and increased vascular damage. In other studies, however, risk for carotid atherosclerosis in HCV infected individuals was not proven, raising doubts about the strength of this association. Q. Is cerebral atherosclerosis and cardiovascular-related mortality increased in HCV patients? Consistent with the above data, studies investigated also the potential impact of HCV infection on cerebro-cardiovascular (CCV) events and on cardiovascular mortality. Studies of large cohorts of HCV individuals of different ethnicities compared to uninfected individuals were not unanimous in reporting a significant increase in poor cardiovascular outcomes in infected subjects after correction for well known cardio-metabolic risk factors. Differences between studies reflected differences in demography prevalence of cardiovascular risk factors and assessment of HCV infection whereas data on liver disease severity and adjustment for different confounders were missing. Q. Do we know anything about how HCV can give rise to vascular damage? Different factors like a higher prevalence of metabolic comorbidities related or not to HCV, proinflammatory-profibrogenetic activity of HCV, and a direct viral effect could potentially explain the link between HCV infection and cardiovascular alterations, though available data appears sometimes contrasting and inconsistent. In a meta-analysis of 22 studies we compared the prevalence of cardiovascular diseases between HCV-infected subjects and uninfected controls, having as outcomes the risk of carotid atherosclerosis, CCV events and cardiovascular mortality. HCV-infected individuals were shown to have an increased risk of CVD-related mortality, subclinical carotid atherosclerosis and CCV events. Specifically, the meta-analysis clearly suggested increased risk of CVD-related mortality in HCV patients , who also carry a two-fold risk of subclinical carotid plaques,without significant heterogeneity among studies. Looking at CCV events, we found a significant increase in the overall risk among HCV-infected individuals compared to uninfected controls. In a subgroup analysis, the association of HCV infection was more pronounced in populations with a higher prevalence of cardiovascular risk factors like diabetes or hypertension. In the end, the strong message of this meta-analysis is that HCV increases the risk of cardiovascular alterations, particularly in individuals with already existing cardiovascular risk factors, prompting in these subjects to undergo a thorough cardiovascular assessment. Q. Can anti HCV therapy revert the risk of cardiovascular events? Recent studies suggest an improvement of cardiovascular outcomes in HCV infected individuals undergoing successful antiviral therapy. An improvement in myocardial injury assessed by scintigraphy was demonstrated only in patients who achieved a virological eradication after PEG-IFN plus ribavirin therapy, not in non-responders. Consistent with these data two large studies in Taiwanese patients reported a significant reduction of rates of stroke, acute coronary syndrome and end-stage renal disease in patients treated by PEG-IFN-based therapy compared to untreated patients, confirming these favourable outcomes in the subset of diabetic patients,too These data and results of our meta-analysis, suggest the need of evaluating the effects of newer potent, oral antivirals in the prevention of cardiovascular events in HCV patients. A Q & A session on emerging and re-emerging infections in the era of globalization with Prof Alessandro Zanetti, Department of Public Health-Microbiology-Virology, Faculty of Medicine, University of Milan, Italy. Q. Professor Zanetti, to what extent do infectious diseases impact on global mortality? Infectious diseases are still an important cause of death in the world, and the first in developing countries, where the five big killers: HIV/AIDS, tuberculosis, malaria, respiratory diseases and infantile diarrhea kill millions of people every year, especially children. In the last decades a number of new pathogens responsible for emerging infectious diseases such as AIDS, Ebola, SARS, Hantavirus pulmonary syndrome, encephalitis due to Hendra and Nipah viruses, the A/H1N1 (pdm 2009) pandemic influenza and MERS-CoV have been identified. Other diseases are re-emerging after a period of quiescence such as malaria and tuberculosis caused by multi-drug resistant strains. The picture is compounded by the so-called “deliberately” emerging diseases, such as anthrax and smallpox, whose spread could be intentionally planned as an act of bioterrorism. Q. What factors account for the emergence of these infections? Environmental modifications and imbalances caused by changes in climate (global warming), and alterations of the ecosystem due to natural calamities or anthropogenic activities are facilitating factors for emerging infectious diseases. 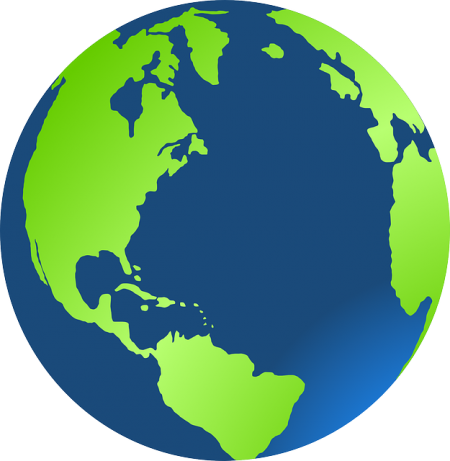 Other factors include intensive farming and breeding; abuse of antibiotic prescriptions in humans, animals and agriculture with possible selection of microbe resistance; frequent travel with millions of people and huge amounts of goods moving from one side of the globe to another in a matter of hours, favoring the so-called “microbial traffic”. Most emerging infections are zoonotic and caused by viruses, mostly RNA viruses. Viruses are perfect Darwinian evolutionary machines: they reproduce rapidly, are constantly evolving, mutate frequently, reassort and recombine easily, cross the species barriers between animals and humans so as to become able to infect new hosts and to adapt to new ecological niches. Q. What infectious agent plays a major role in global mortality? HIV is the cause of the largest, newly emerged behavioral pandemic in the history of mankind. The origin can be traced back to the beginning of the last century to Sub-Saharan Africa, where humans acquired infection through contact with infected blood from chimpanzees during hunting and slaughtering processes (bush meat, hunter’s cut). HIV infection remained confined to isolated equatorial African villages until the middle of the last century, when the massive migration of rural populations to crowded towns favored viral dissemination. Sometime around the mid ‘60s , the infection moved from Africa to Haiti, then to US homosexual communities, then to Europe – firstly in IVDUs-, and then it extended to the general population becoming pandemic. WHO estimates that 35 million are living with HIV/AIDS worldwide and that at least 40 million have died from the disease to date. Q. What about the Ebola epidemic? Can the virus strike again? Ebola was first described in 1976 when two simultaneous but separate outbreaks caused by two distinct subtypes of EBV with case-fatality rate of 90% and 50% were reported in the Democratic Republic of Congo (formerly Zaire) and Sudan, respectively. Since then, several, explosive, circumscribed outbreaks have appeared sporadically in Africa. The 2014 epidemic is the largest epidemic ever recorded having caused suffering (28.256 cases), and deaths (11.306) in West Africa, particularly in Guinea, Liberia and Sierra Leone. A mystery of EBV is where the virus hides during the inter-epidemic intervals. People acquire EBV from wild animals (i.e. chimps and gorillas acting as spillover) and spread it to the human population through person-to-person contact. Fruit bats or more likely insectivorous bats are the alleged reservoir hosts. A recent study (EMBO Mol Med, 2015) indicates as index case (or patient zero) of the 2014 Ebola epidemic, a 2-year old child who may have been infected by playing in a hollow tree housing a colony of insectivorous free-tailed bats. Q. What other infectious agents are spread by living vectors? Global warming makes exotic arthropod vectors potentially able to thrive in countries where the climate was previously hostile. Changes in public health policy, insecticide use and drug resistance are additional factors that can contribute to the emergence or resurgence of vector-borne infectious diseases. An example is the West Nile Virus (WNV) infection, originally confined to Africa (along the Nile), Southern Europe, parts of the Middle East and India. In 1999, WNV was first imported into the New York area where thanks to the presence of specific vectors (Culex mosquitos) and natural susceptible hosts (crows, jays), the virus spread rapidly across the US. Man is a dead-end incidental host: it has now been estimated that more than 3 million people have been infected by WNV, over 19,000 suffered neuroinvasive disease with nearly 1,700 deaths in North America. Another example is the re-emergence of Dengue whose virus (DV) is typically transmitted by Aedes aegypti in tropical and sub-tropical countries. The recent adaptation of DV to the Aedes albopictus (or tiger mosquito, which is widespread in countries with a temperate climate) gives the virus new opportunities to extend its terrain of spread. In Italy, the tiger mosquito has not yet led to transmission of Dengue but did favor the spread – in 2007- of the first imported epidemic of Chikungunya in Italy where more than 200 cases were involved. Q. Has the risk of SARS and influenza pandemics been completely eradicated? SARS was responsible for the first pandemic in the 21st century that had a great impact on account of its rapid spread worldwide under favorable conditions created by our highly mobile, closely interconnected world. The origin was in Guangdong (Southern China), an area of dense population, where humans and animals live in close proximity providing ideal conditions for a new virus to emerge by jumping across species. Two cross-species passages were sufficient for the virus (SARS-CoV) to reach humans; from the horseshoe bats (the natural reservoir) to masked palm civets and raccoon dogs (spillover hosts), and then to men. The event that aided the spread of SARS-CoV among humans was the overnight stay of an infected (likely a “super spreader”) nephrologist from Guangdong, at the Metropole Hotel in Hong Kong. During his stay, he infected 16 guests who took a plane back home, taking SARS global. This led to a worldwide pandemic affecting more than 8.000 individuals with a fatality rate of nearly 10%. The world is now SARS free, but the virus has not been eradicated. Being zoonotic, SARS-CoV is only hiding in some reservoir host and could strike again. In 2012, a novel Coronavirus was isolated in Saudi Arabia as the cause of the Middle East Respiratory Syndrome Coronavirus (MERS-CoV), a severe acute respiratory illness with a fatality rate around 36%. As of September 11, 2015, WHO reported 1585 cases, including 567 deaths mostly infected in the Arabian Peninsula. MERS-COV is a well- kept under surveillance virus. Potential animal reservoirs and mechanism(s) to humans remain unclear. Evidence suggests that the virus is likely transmitted from insectivorous bats to dromedary camels and from these to humans. Influenza viruses are unpredictable and born to evolve. They can cause seasonal epidemics through the “ antigenic drift” and pandemics through the “antigenic shift”. Following the three pandemics of the last century (Spanish Flu in 1918-19, Asiatic Flu in 1957, and Hong Kong Flu in 1968), a pandemic alert did arise between the end of last century and the beginning of the new one and pinpointed the avian H5N1 as the most likely candidate to become the causative agent of the first pandemic of the new millennium. However, as is widely known, the flu is unpredictable: from the flu, we can expect the unexpected. In March 2009, a novel virus A/H1N1 was isolated on the border between California and Mexico. This virus, a quadruple reassortant containing two genes of swine origin, caused the 2009 flu pandemic, which was much less explosive and not as fatal as previous pandemics. Q. Professor Zanetti, should we be looking out for the next big one? We cannot predict a forthcoming flu pandemic or any other pandemics caused by newly emerging viruses. However, we must be on the alert, well prepared and ready to respond. Humanity’s battle with viruses has lasted millennia and is destined to continue.